Slice each doughnut in half around the middle. Place a generous scoop of ice cream on a small plate. Using a spatula, flatten the scoop of ice cream to the same diameter as your doughnuts. 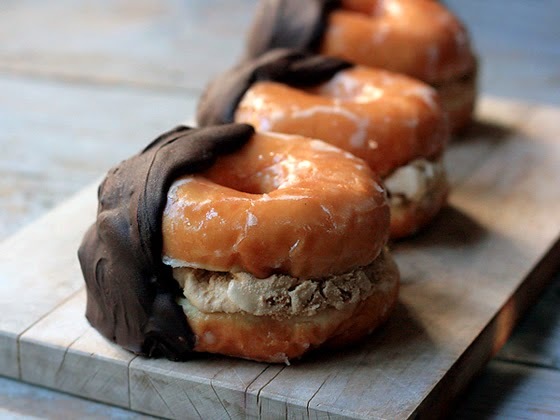 Place the flattened scoop of ice cream on half the doughnut. “Close” the sandwich with the other half of the doughnut. Dip each sandwich into melted chocolate.